This post is a collaboration with Edgell. That’s how I would describe this recipe. If you know how to make fried rice, you’ve already know how to make this dish. 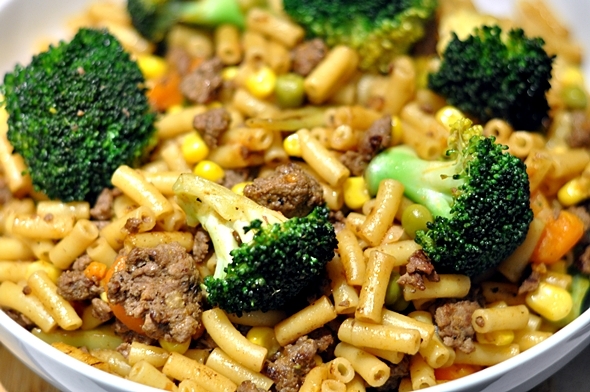 Simply substitute cooked rice with macaroni and you’ll have a completely different dish altogether. My mum used to make this when I was a kid and I remember that I really loved it, even until now. In fact, it is one of the most frequent dishes I make at home especially when I don’t feel like fussing too much in the kitchen. What I love about chow mac (get it? instead of chow mein?) is the flexibility to use most of the ingredients you already have in your fridge and pantry. I have been working on four recipes with Edgell in collaboration of Edgell Plus One project for the past couple of weeks. 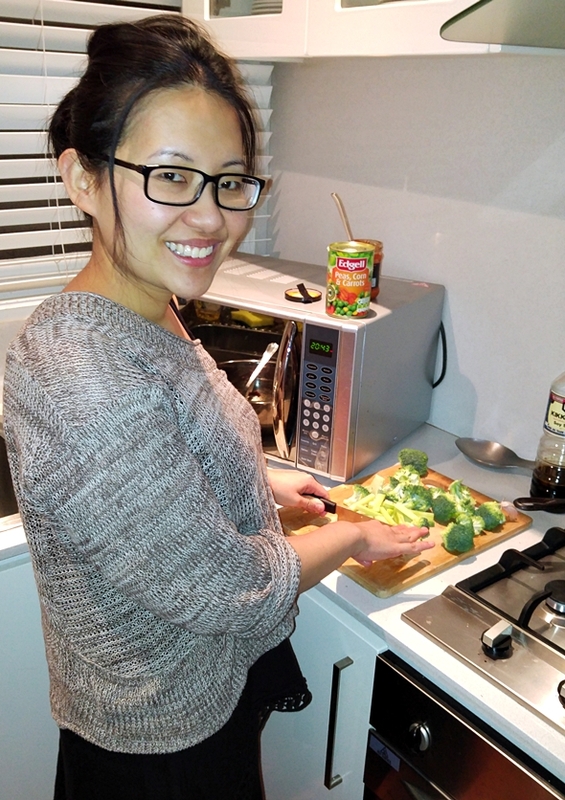 I am a firm believer in adding extra vegetables in our meals and this is what the project is all about. The goal is to show how easy it is to add one extra vegetable to your meal. I love that they picked me for this month’s theme which is ‘Around the World – Spice Special’. You know how much I love my spices! Naturally, I sneaked in my favourite Thai curry paste to my chow mac just because it makes delicious dishes effortlessly. 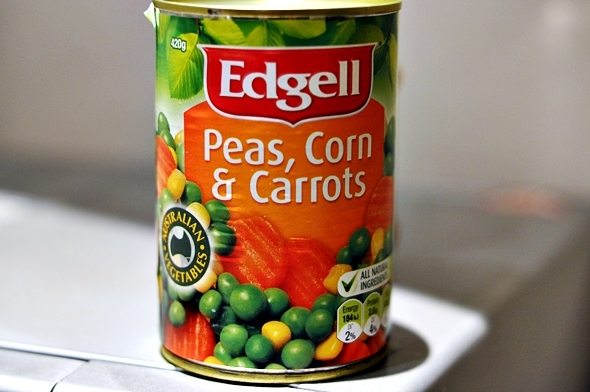 To make a veggie packed chow mac, I was also adding extra vegetables using Edgell Peas, Corn & Carrots. 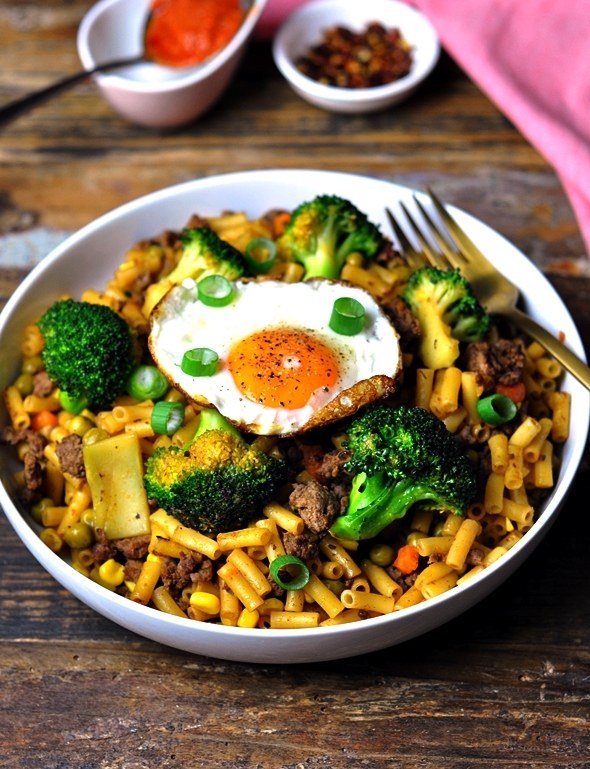 This is totally optional but you can amp up the dish simply by adding fried eggs and chopped spring onion. In a mixing bowl, combine mince beef with 1 teaspoon of light soy sauce and 2 tablespoons red curry paste. Set aside to marinate the mince beef. In a small bowl, mix 1 tablespoon of the red curry paste with 1 tablespoon soy sauce and 1 tablespoon of sesame oil in a small bowl and set aside. Cook macaroni according to the packet instructions until al dente and drain. Lightly drizzle the cooked macaroni with cooking oil to avoid macaroni from sticking together. Heat one tablespoon of cooking oil in a large pan. When the oil is hot, add garlic and cook until aromatic. Add marinated beef mince and sauté over high heat. Cook until browned. 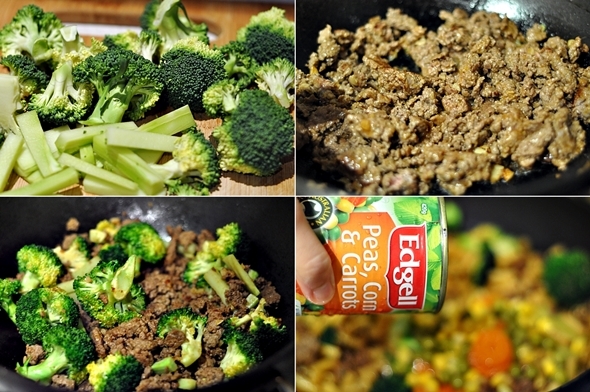 Add broccoli, sauté until the broccoli is slightly softened (but still retained some crunch). Add the cooked macaroni and red curry paste mixture into the pan. Stir until well combined. Gently stir in drained Edgell Peas, Corn & Carrots and heat through. My recipes with Edgell were cooked and photographed in the Edgell Test Kitchen for their website. 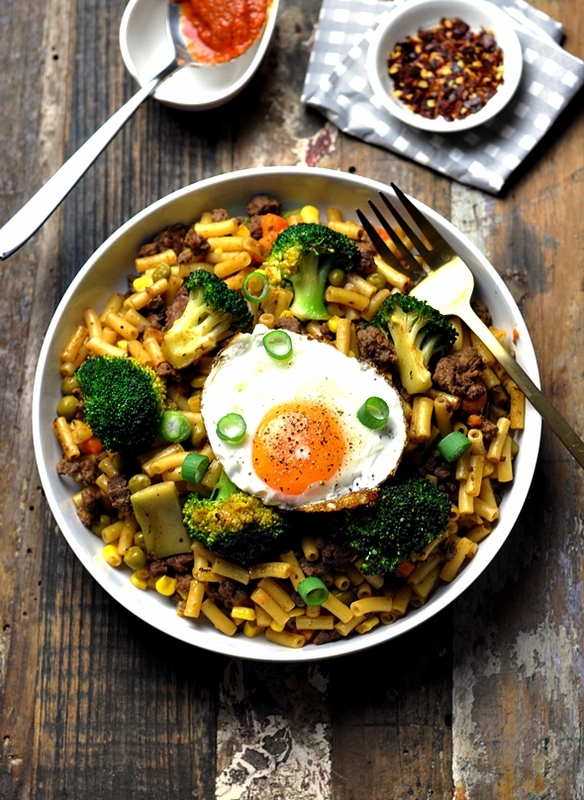 You can check out my beef and broccoli chow mac recipe at the Edgell Plus One website over here along with many easy and practical meal ideas that will whet your appetite!